A few months ago I got an email from one of my aunt's friends asking if I wanted to exchange recipes with her on a monthly basis. I jumped at the chance and said YES! I love collecting and trying new recipes. 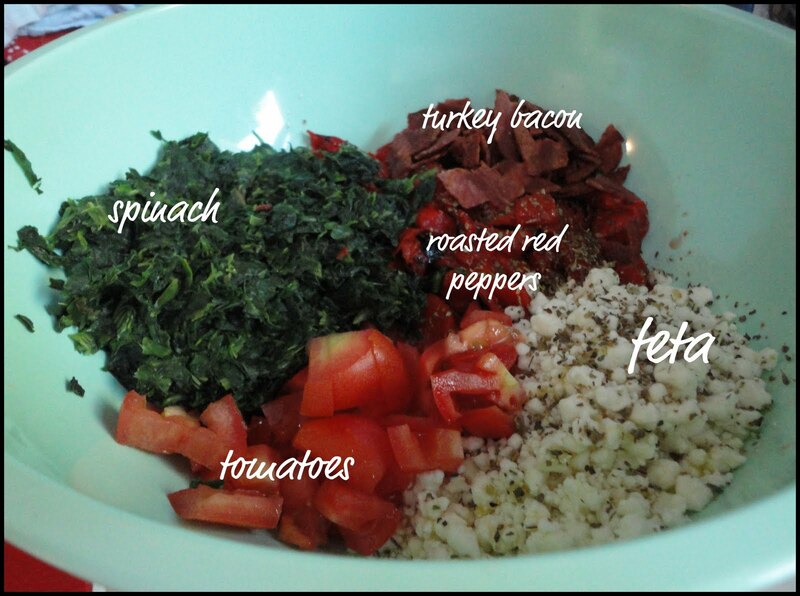 Pam (my email buddy) sends me delicious and amazing recipes every month. She also includes very helpful kitchen tips and tricks. I have grown to really love and look forward to these emails each month. 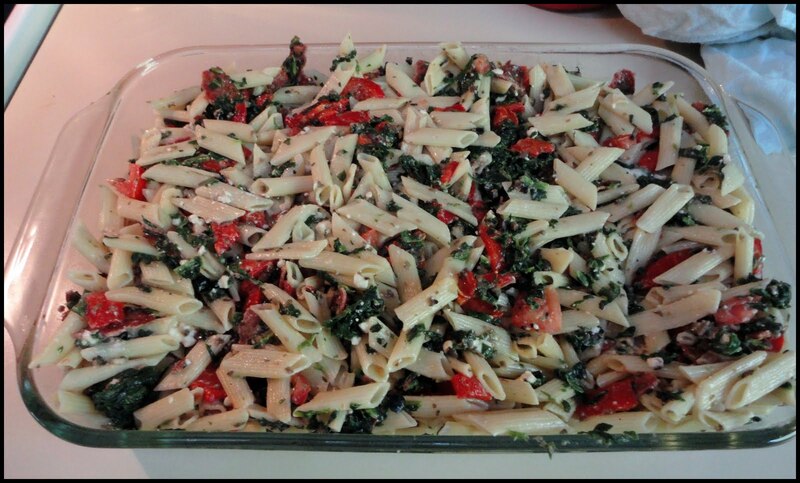 This past month Pam sent me this delicious recipe for a Greek Pasta Bake and I tried it out over the weekend. It was SO yummy! I also think this would be a great dish for a shower or a pot luck. In 4-qt saucepan, cook pasta as directed on package. Cook until pasta is tender. Drain; return to saucepan. Spray a 13x9-inch (3-qt) glass baking dish with cooking spray. Stir remaining ingredients into cooked pasta. 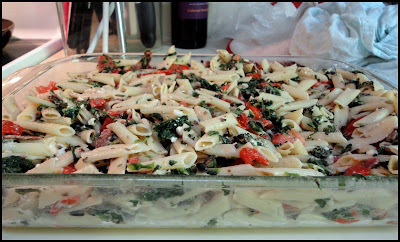 Pour into baking dish; spread evenly. Bake uncovered 15 – 20 minutes or until thoroughly heated. Serve and sprinkle with Parmesan cheese. The Mister and I both really loved this meal...we will definitely be adding it to our meal plan rotation.